With the pressure mounting on Jose Mourinho, the last thing the Man Utd boss needs is injury concerns ahead of the clash with Fulham. Unfortunately for the Portuguese tactician, that’s exactly what he’s got as he remained concern over the availability of a key quartet when speaking to the media in his press conference on Friday. As noted by the Manchester Evening News, Phil Jones, Chris Smalling, Eric Bailly and Anthony Martial remain doubts for their meeting with Fulham, as Mourinho suggested that the final training session could give him answers over their availability. 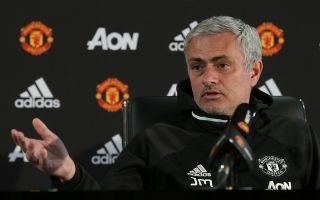 That’s a potential defensive headache for the Man Utd boss if that trio of defenders remain as doubts after Friday, and so it remains to be seen who gets the nod in that department to cover their possible absence. Meanwhile, Martial has been in fine form in recent weeks, taking his tally for the season up to seven goals in 12 Premier League appearances. In turn, the last thing that Mourinho wants is to see his momentum disrupted, especially with United now desperate to avoid dropping more points. After their midweek draw with Arsenal, they now sit eight points adrift of the top four in the Premier League, while Manchester City are 18 points clear of them at the top of the standings. With their Champions League qualification hopes now coming under the microscope, Mourinho could certainly do with an injury boost or two ahead of the weekend.